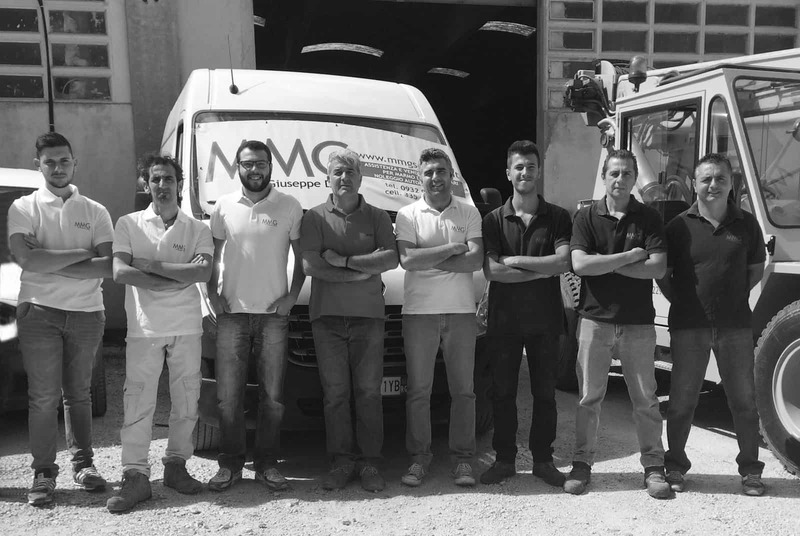 MMG is a young company based in Italy which specializes in reconditioning, remarketing services and technical assistance for stone working machinery. The company was founded in 2007 by Giuseppe Divita, who has more than thirty years’ production management experience within the stone industry. On the base of Giuseppe’s experience later his sons Carlo and Marco, who are both engineers joined the business, and with the goal to transform MMG into a forward thinking, progressive company, using the most modern communication techniques (online marketplace and IT tools) and focusing on the CNC machine market. In 2016 this evolution has led to the launch of the E-Commerce store for the stone industry where clients all over the world can order their diamond tools, cnc vacuum pads, spare parts and accessories. MMG wants to become the trusted partner for all the best stone factories and workshops all over the world to help them to grow their business and profits. MMG’s philosophy is to build a long term relationship based on Giuseppe’s core values: trust, confidence, integrity, fairness, respect and reliability . Machinery promotion, inspections, travel documents and visas for visits, negotiations with buyers and sellers; once everything is organized, MMG purchases the machine(s), manages the reconditioning/retrofit process and takes care of all added services. Given the global nature of this business, it is not always possible for a buyer to be in the know about the best deals out there in terms of cost and quality. This is where MMG comes in, to present the client with multiple options and help him select the best used machinery for his needs. After the sale MMG works side by side with their customers, assisting with installations, maintenance, as well as supplying consumables and spare parts. If the available used machine is not in good shape or out of work MMG can recondition it to bring the machine again to life. Reconditioned machines will be in great shape again and 100% in working condition. Il nostro Laboratorio è stato realizzato quasi interamente con macchine ricondizionate dalla MMG e ci hanno permesso di avere un parco macchine completo con una spesa ridotta rispetto a macchine nuove. Abbiamo anche una macchina a controllo numerico e la loro assistenza è sempre stata puntuale e affidabile. I had the pleasure to work with Eng. Marco Divita, the company he runs with his family is a modern and dynamic company. From the South of Italy he can serve its many customers around the world, in a personalized and consistent way. The Stone Industry is made up of many types of machinery and applications, often the customer’s needs vary by country, market and geographical conditions. MMG thanks to its experience in the field can suggest the best solutions. Use of genuine products adds value to their daily work. Dear Eng. Marco Divita I thank you for being part of this industry and for your contribution. Marco and his company did an excellent job of logistics in getting our saw to Hawaii. He assisted with technical questions on our behalf with the manufacturer. We would be happy to work with Marco and his team again. Grazie per lavoro fatto a Sardegna. La ditta MMG e stata fidabile: persone educate e oneste, mantengono la parola di onore. Per me, Polacco , una cosa molto importante.